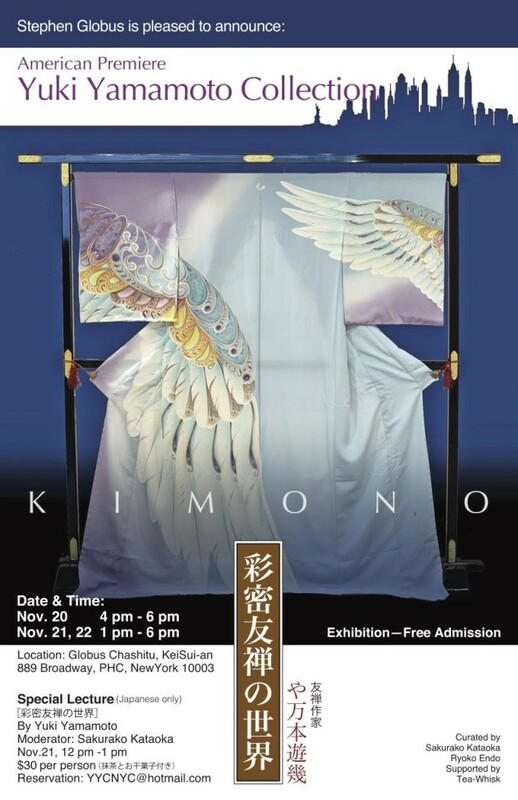 Friday, November 20 from 4:00 p.m. until 6:00 p.m.
Saturday, November 21 and Sunday, November 22 from 1:00 p.m. until 6:00 p.m.
Globus Chashitsu hosts the U.S. premiere of the Yuki Yamamoto Collection, a kimono exhibition curated by Sakurako Kataoka and Ryoko Endo and supported by Tea-Whisk. Saimitsu (elaborate coloring) Yuzen, which Yamamoto creates, embodies three features: delicacy, texture, and light. Yamamoto’s artistic vision elevates the traditional Japanese techniques by preserving silk’s elegant texture and using Japanese dyes and pigments to maximize contrasts of light. 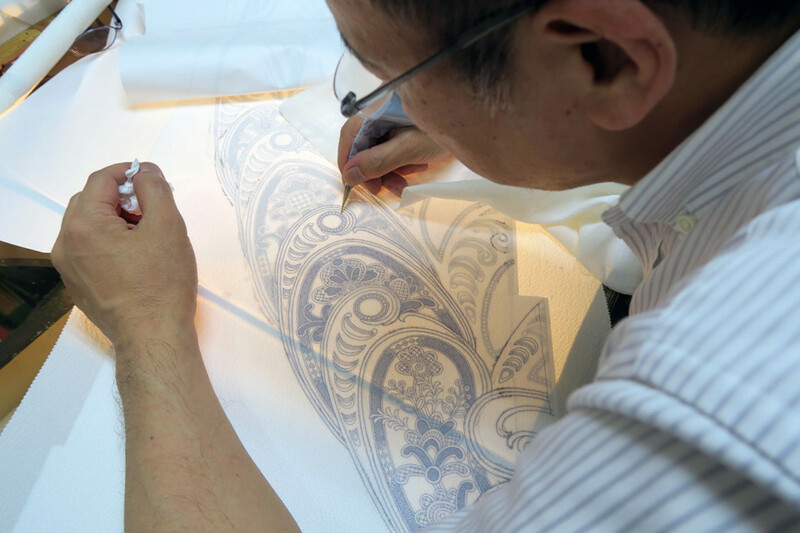 He challenges the limits of human ability to draw lines as thin as possible in order to represent exquisite detail and delicacy, which are astounding to behold. His designs transcend the traditional and are a bridge to modern lifestyles. Yamamoto creates Kimonos for Japanese celebrities such as Tetsuko Kuroyanagi, one of Japan’s most beloved talk show hosts, whose show, Tetsuko no heya, has been airing for 40 years. 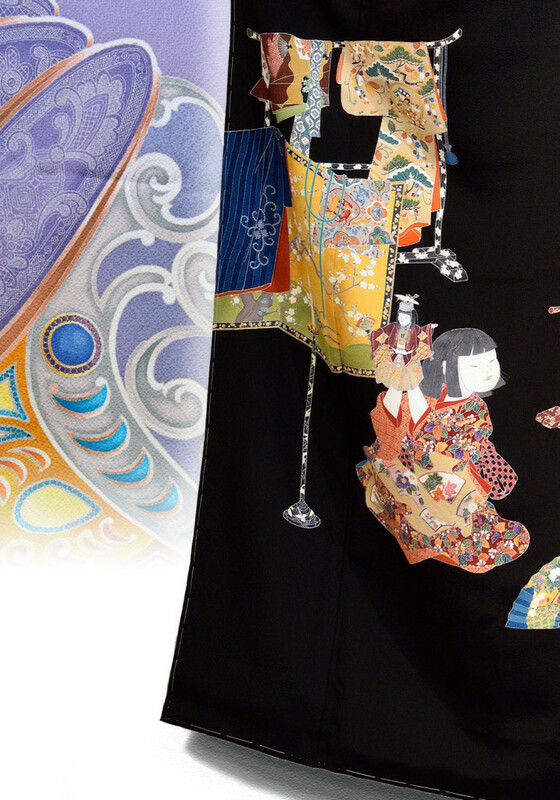 On display will be the Kimono that she wore when Tom Cruise appeared on her show in Tokyo, Japan. There will be a special lecture by Yamamoto with moderator Sakurako Kataoka on Saturday, November 21 from noon until 1:00 p.m. The lecture will be presented in Japanese only. Admission is $30 per person. To RSVP, please send an email to YYCNYC@hotmail.com.